Chile occupies the west coast of the southern part of South America. The Spanish explorer Diego de Almargo attempted to take Chile from the native Incas and Araucanian tribes in 1536. Although he failed, a second Spaniard Pedro de Valdivia succeeded and founded Santiago the capital in 1541. Chile formed its own national government in 1810, and full independence was secured by 1818. Chile has since had an interesting monetary history with long periods of high inflation mixed with a few periods of stability. 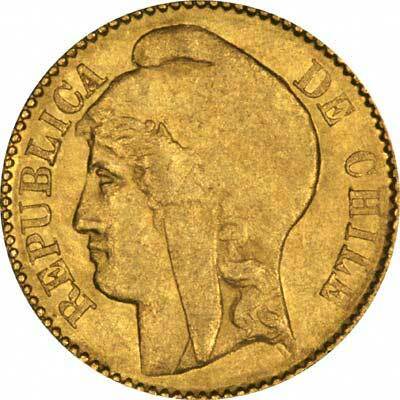 One of Spain's main priorities in conquering much of South America was to acquire gold. 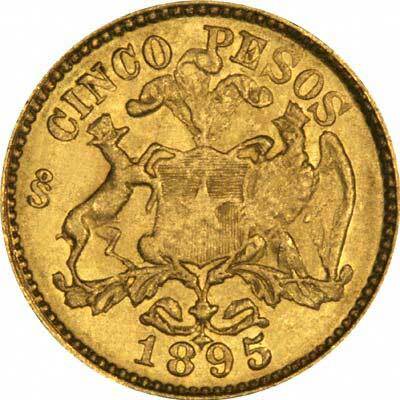 Chile therefore has produced a variety of gold coins for a long period of time, and makes an interesting subject for the collector of gold coins.